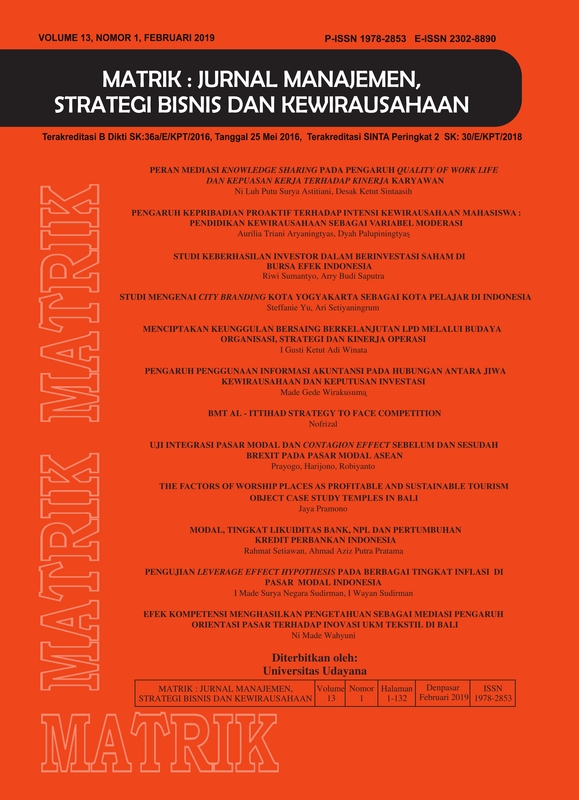 Matrik:Jurnal Manajemen, Strategi Bisnis dan Kewirausahaan is a scientific journal published by the Department of Management, Faculty of Economics, Udayana University which aims to publish articles of empirical and theoretical studies in the field of marketing management, finance, human resources, operations, strategy management, tourism management and entrepreneurship. Editors accept articles in Indonesian and English were not delivered or published in another journal. Determination of the article that appeared determined by expert editors review results through a blind review process.